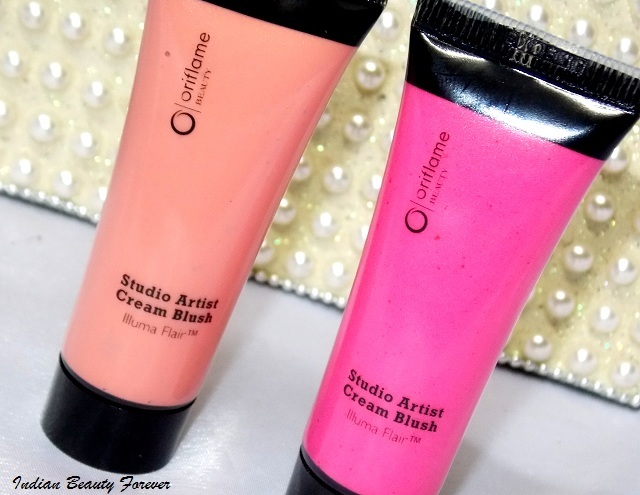 In this post I will review Oriflame Studio Artist Cream Blushes in Soft Peach and Pink Glow. 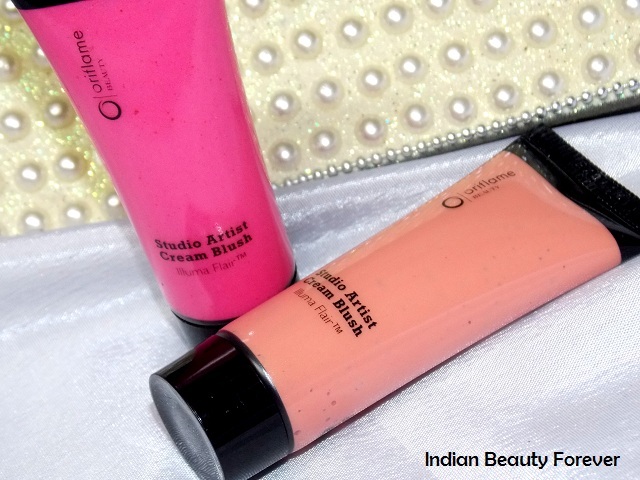 Cream blushes can be good for dry skin as they tend to add some extra glow to the skin. 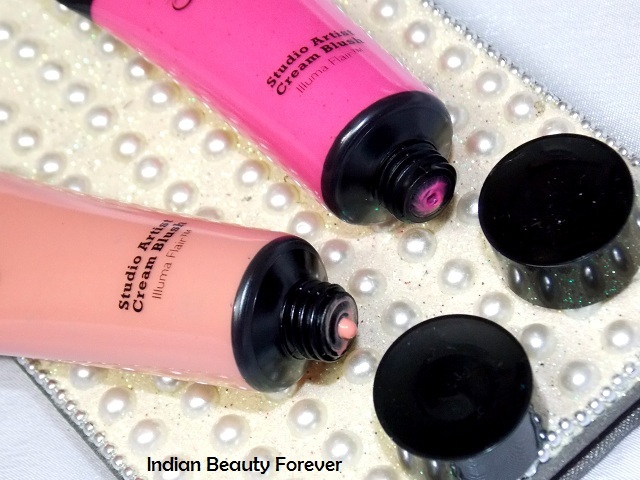 These blushes are a part of their studio artist range. 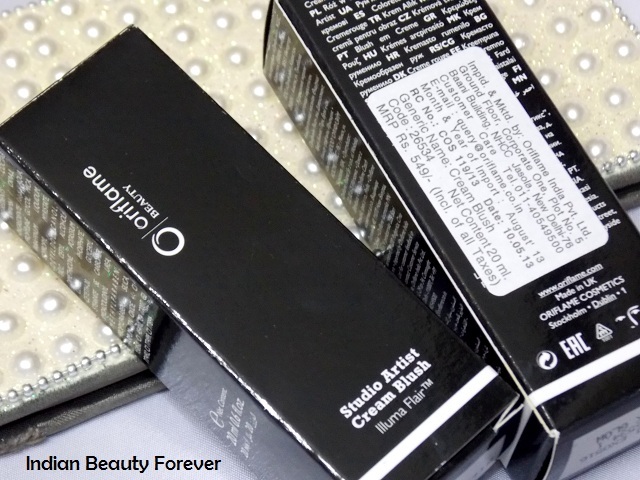 Earlier I have reviewed studio artist foundation and concealer review is still pending. Will be doing that next week for sure. Price -549 rupees each for these 20 ml tubes. They have a lotion kind of formula and pigmentation is good so just a pea size is enough for the both the cheeks or if you want to wear slightly too much. As they are creamy, you will need to blend it properly especially the harsh edges since it gets stained after some time. Therefore, you have to be extra careful while blending. 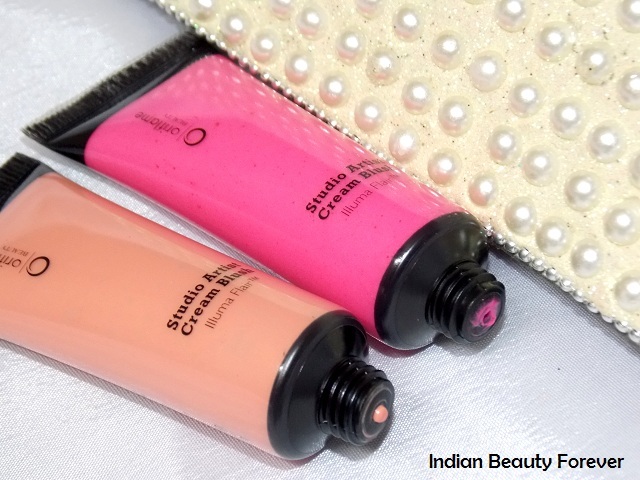 I find applying these cream blushes with brushes better which tends to give even and well blended finish! 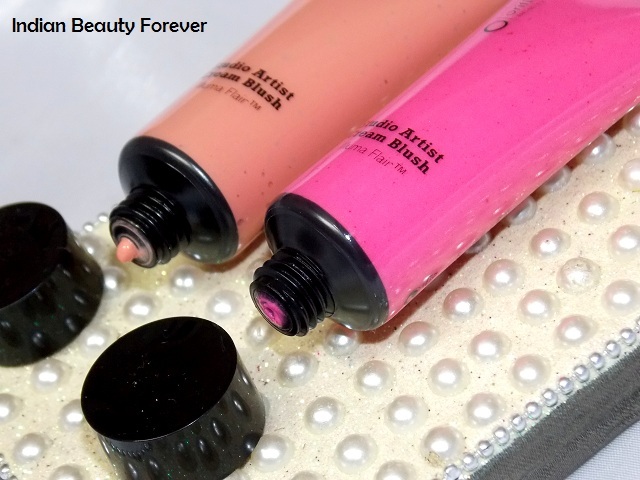 Due to its light moisturizer kind of formula, it stays on a lot longer than the powder blushes and will not get fade. 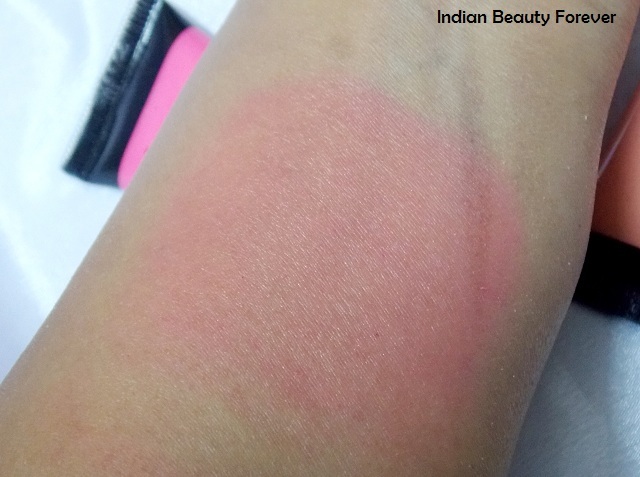 It lasts around 4-5 hours on me and when topped with a powder blush, My blush stays the entire day. It makes the cheeks glow and will be very good for the dry skin as it can give their skin subtle glow and also will not accentuate the dry patches rather will combat dryness. I have normal cheeks and I like its creaminess on my cheeks. Even if you have oily skin/cheeks you will not feel too greasy else winter would be the best time to sport these. It sits and feels very light on the skin. I feel as if I have moisturizer on the cheeks. yes, it has a very light water feel that doesn't feel greasy, More like an oil free moisturizer. Since the time I am using these they have not break me out. the only thing that brothers me is at times while blending them it can gets Slightly patchy when done so with you fingers so I would suggest using a brush. and it makes me say again that blending is the key to these blushes. I have got Pink Glow and Peach Soft. 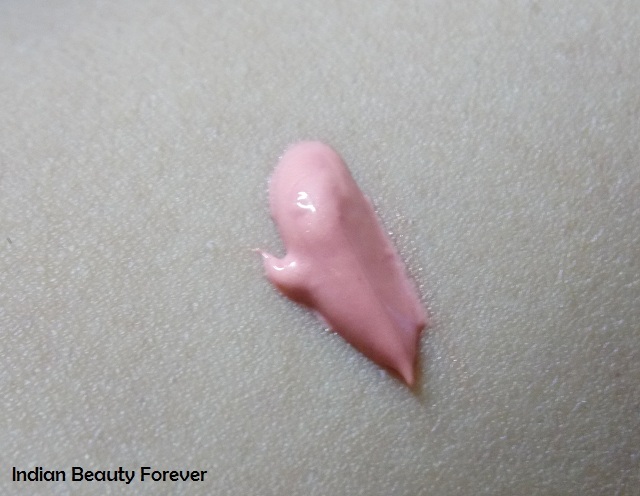 Soft Peach is a sheer pale peachy shade in the tube but once blended against my skin, it is not visible at all. 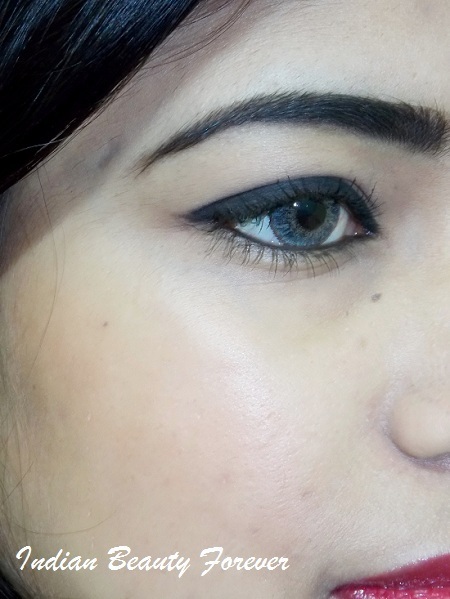 I am not sure if it's going to appear at all on dusky skin tones. I think it won't But on me, It gives a very faint light peachy tint that is not visible, Just a faint tint and glow due to its creamy lotiony formula. will be using it like a base for my powder blushes may be as it will make them last comparatively longer. 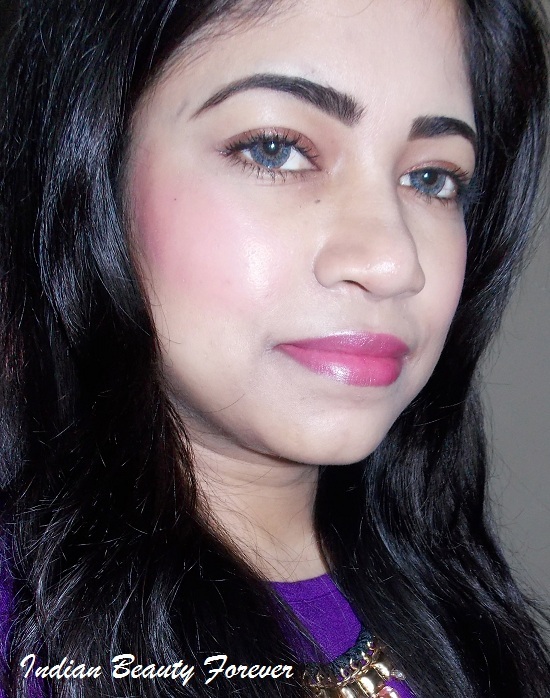 Overall, I like these blushes and their light weight texture that doesn't melt away. 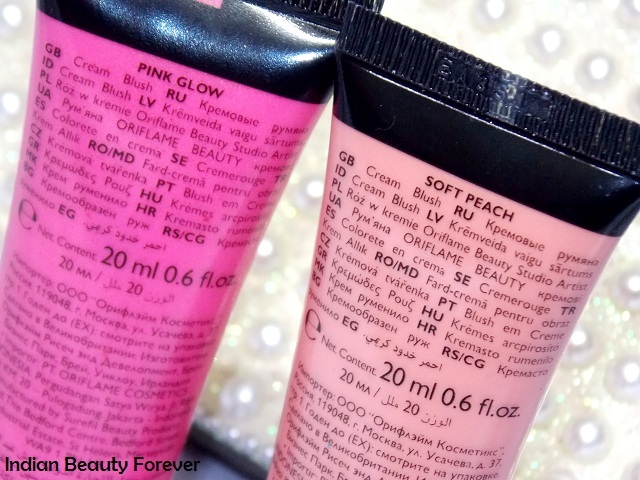 Pink Glow is an overwhelmingly candy pink when you see that in the tube but once blended is gives that soft pink tint to the cheeks. 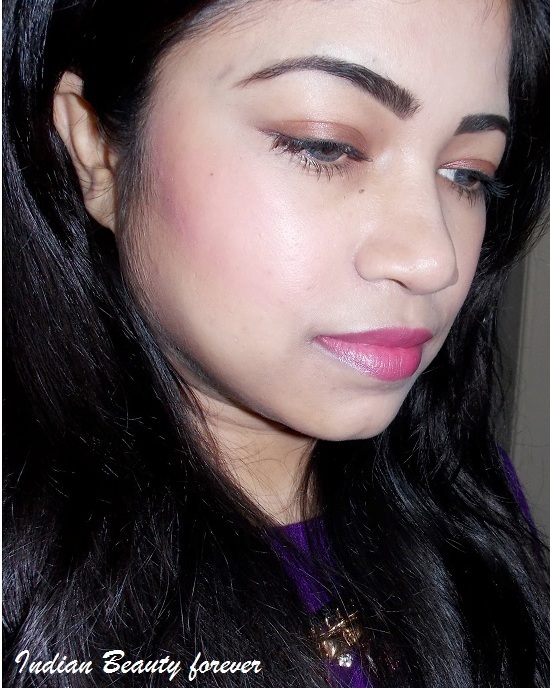 It's pink that I can compare with the Faces Canada Fresh bloom powder blush minus the chunky shimmers in the later. 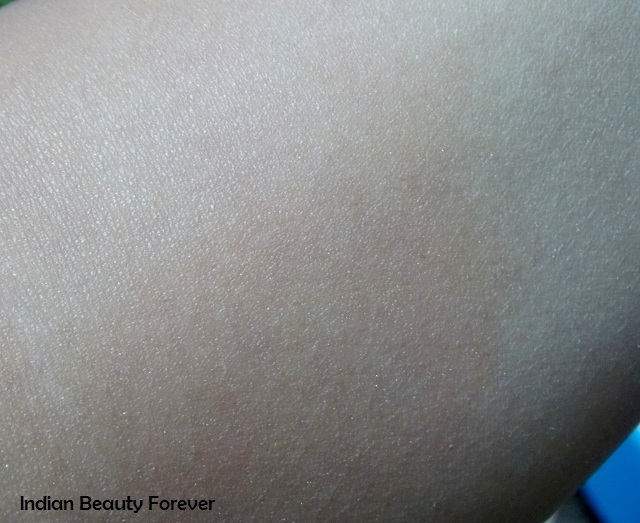 They have very very sheer micro shimmers which are visible when you may put it under the microscope. I mean to say, isn't visible much. 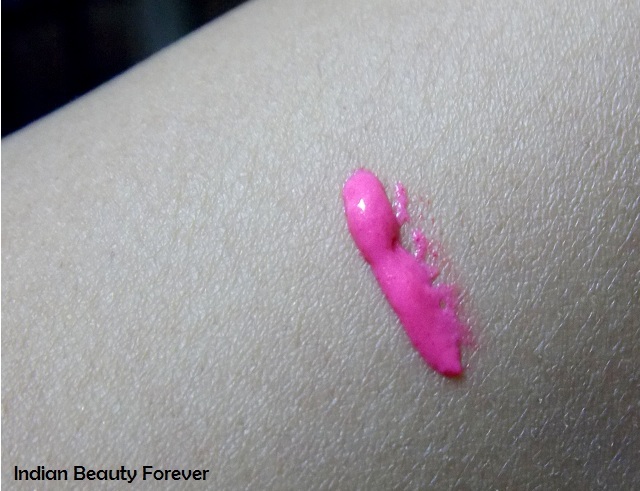 This color can easily gives you barbie pink kinda cheeks, that is build able. The shade is going to suit most of the skin tones. Like if you are dusky then also this shade will suit you and will show up on you unlike the next one I am going to talk about! Take- Oriflame Studio Artist Cream Blushes are very light weight and has lotion like consistency that feels light on the skin unlike the cream blushes in the pan. 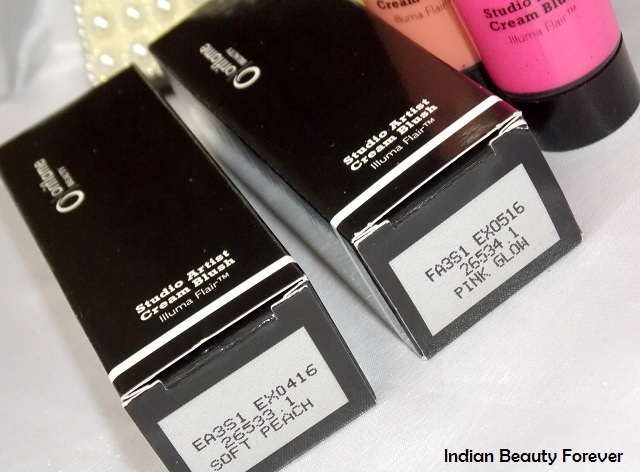 They are affordable and comes in 3 shades with good pigmentation. They will not melt away and are suitable for even oily skin though blending them should be done proper taking time.